When I was growing up, my dad was in the Navy, and because we moved around so much – each time he was ordered to a new assignment – I ended up going to sixteen schools, including four high schools. My brother adapted to this by being gregarious, charming, and funny, and making new friends wherever he went. I did the opposite, growing shyer each time I was “the new girl,” and retreating more and more into books. Books were the most reliable friends one could hope for. With the right book, you could just open the pages, find the spot where you left off, and dive right back in again to a world that welcomed and embraced you. Your mother might call you to help with dinner or make your bed, but you could barely hear her or pull yourself out of the world of that book. At such moments, my escape into books must have annoyed my mother. I remember a phrase that went something like, “Get your nose out of that book and come help!” But she also seemed to encourage and understand. Each time we moved to a new location, she would find where the public library was and be sure to take me there once a week. In those days, libraries limited you to five books at a time. My mother would explain that five books would barely last me a day, and librarians were always sympathetic. The five-book rule would be suspended, and out we would go with books tumbling from our arms–as many as we could carry. What a delicious feeling that was! 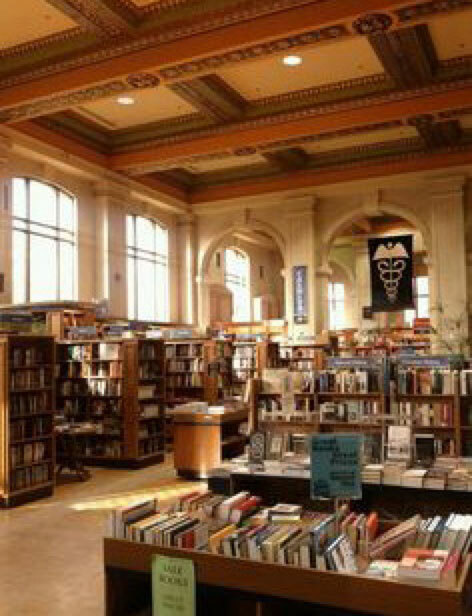 So libraries, as the sacred temples of books, became almost as dear to me as the books themselves. 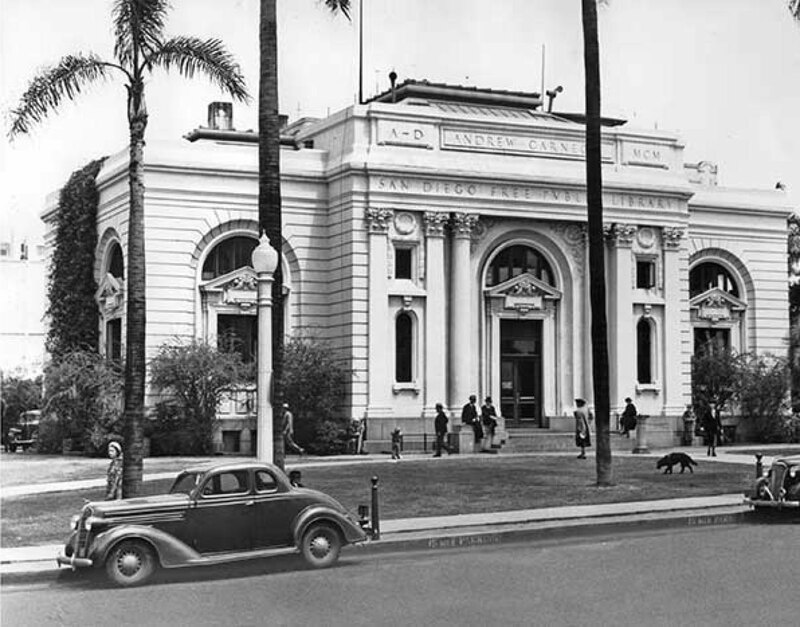 In junior high school in San Diego, I was allowed to take the bus downtown after school to the public library, where I had a volunteer job. I didn’t know then that it was one of the magnificent Carnegie Libraries, built in the early twentieth century, or that it would soon be shamefully demolished. But I knew that it felt wonderful to run up the handsome stone steps and report to the librarians at the desk, who would entrust me with carts full of books to shelve. Shelving was a great way to discover new books; often a book didn’t make it to the shelves because I would put it aside to check out and take home with me. Wherever we moved, there was always a library, one of the luckiest things about life in America. Recently, I have read of libraries being shuttered and the buildings put up for sale. This occurs sometimes in the U.S., but it has become an even bigger problem in the United Kingdom, where you can easily pick up an old library and turn it to some clever new use–a beautiful building, minus its books. Sometimes this is because a community has built a newer and fancier library, but more often it’s because a city council has decided that libraries are just not important or fiscally practical any more. After all, everyone has the internet! Local libraries have fought back, making sure to offer free wi-fi service, along with stacks full of books and periodicals. But they need strong community support. 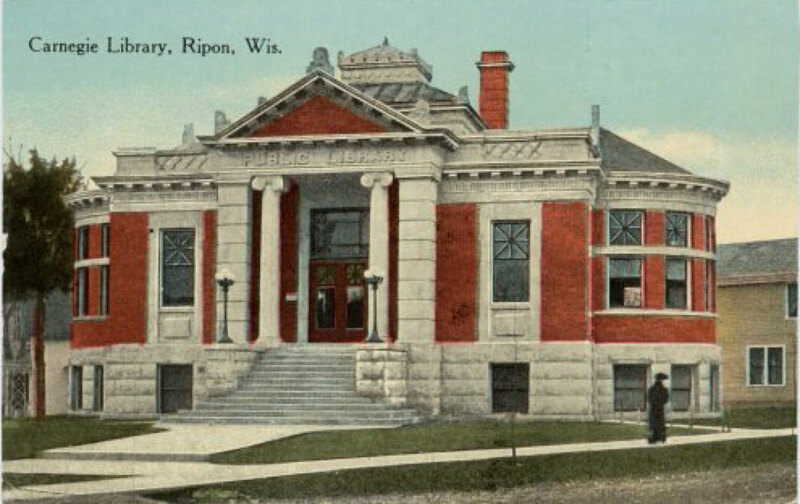 In the history of any library system, especially small-town libraries, you will read of visionary citizens, or groups of citizens, determined that their community should have an enduring and dependable library. I am so grateful to those people – who most often were women – just as in the early years librarians were almost always women. I’m also grateful to my mother, who never got to be on a library board, but who made sure that her children knew the solace and the treasures that libraries held for them. I was not so good a mother to my own children. Bookworms don’t always make the most reliable parents, for how can a kid yell at her mom, “Get your nose out of that book”? As a working, single parent, I didn’t have much time for trips to the nearest public library, though we got there as often as we could. But at least my kids did learn to love books as much as I did, and what I remember most is visiting the Bookmobile on Thursday afternoons in Wells Bridge, the village nearest our home. There it would be, a shiny bus marked BOOKMOBILE, pulled up at the side of State Highway 7, just past the old post office. Its doors would be wide open, and we’d eagerly climb the steel steps, as if about to take a pleasant journey. We’d look down the aisle, packed tight with books on either side, eager to discover what the librarians had sent out that week. It wasn’t a huge selection, but my children always found plenty of treasure, and we’d go home–just as we did in my childhood–with our arms full of books.